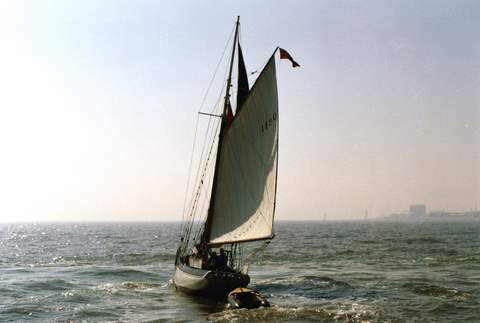 A group caring for a rare National Historic Ships Register-listed 42ft Victorian racing cutter at Southwold are urgently appealing for more manpower and financial help. Leila was built at Charlton, London in 1892. 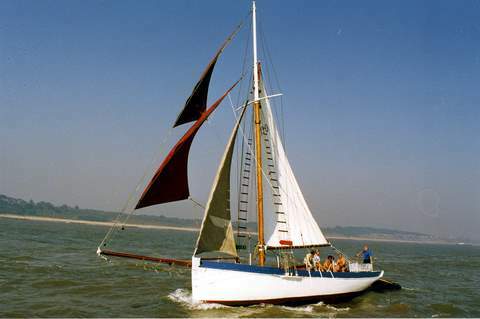 She’s a striking and unusual yacht: above the waterline she looks very much like a smack, but below the waterline she’s clearly a racing yacht with an impressive 8ft deep keel. In her early years sailed with the Royal Temple Yacht Club at Ramsgate, and won the Round Britain Race in 1904. From 1961 until a few years ago she was kept at Fisher’s Quay, Great Yarmouth. When restored and brought up to the relevant Coastguard standards, she will be used for sail training local youngsters, and will again operate from Fisher’s Quay. I hope to visit this weekend and take some more photos. The Leila Trust has so far raised £50,000 from the Heritage Lottery Fund, £2000 from the National Maritime Museum and £40,000 from private donations – but are now having to appeal for an extra £30,000 after finding unexpected areas of rot in the hull that have been caused by leaks around iron fittings around the forward beam shelves. To find out more, and to offer help etc, contact the Leila Trust via their website: http://leila2c.org. 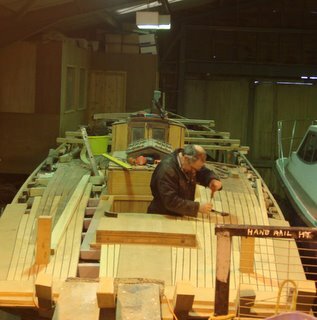 Click here to start receiving the weekly intheboatshed.net newsletter! I knew Leila well in the '50s when owned first by the Trickers (I still keep in touch with Diana – now Whayman) and then the Carter-Jonas family. If of interest, have an amusing story to tell of her near-sinking at Woolverstone involving salvage by some drunken firemen assisted by my crew on "Hirta"! Are you aware that a Carter Jonas ("JJ") is manager of Foxs Marina, Ipswich? He sailed aboard as a child. Leila's then part-owner, Chris Carter-Jonas (JJ's father) who was an RAF test pilot, was one of the originators of Suffolk Yacht Harbour. The family own – or owned – Carter Jonas the Estate Agency.